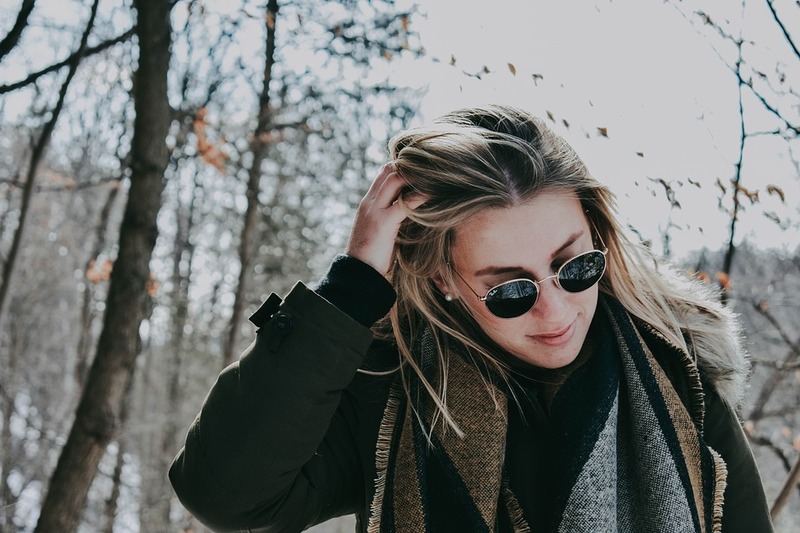 Even though you don’t feel as much heat from the sun in the winter, this does not mean that you no longer need to wear those trendy sunglasses you wore all summer long! In the winter, the sun sits lower in the sky compared to during the warmer summer months. This results in more sun exposure if you are doing winter sports or attending various outdoor events. Most importantly, the UV (ultra-violet) radiation from the sun can be damaging to the eye. Children are especially at risk because they often spend more time outdoors than the average adult. Since UV damage is cumulative, it is important to protect your eyes and your children’s eyes early on. UV rays can cause sunburned eyes – This is sometimes referred to as “snow blindness” and often affects skiers and snowmobilers. Without proper eye protection, the cornea can be sunburned for up to a week. Snow blindness can occur in anyone, including the unprotected eyes of infants in strollers, toddlers in the snow, or children going tobogganing. Some symptoms of snow blindness include excessive blinking, watery and red eyes, irritation, discomfort, or pain. Symptoms can appear immediately or up to 12 hours after exposure. Pain and temporary blurring of vision can show up even later than that. Don’t forget about hats, scarves, and sunscreen – In addition to sunglasses, hats with wide brims will help to shade the eyes and eyelids from the sun. Scarves will help to protect the neck. Always remember to apply sunscreen to exposed area of the skin. Sun protection year-round is important for everybody, especially children. Set a good example for your children by wearing sunglasses and sunscreen yourself. Be sure to book an appointment with your optometrist for a comprehensive eye exam to ensure your eyes are healthy and vision is good to safely participate in winter activities. Most importantly, have fun this winter!